The seminal event in American history blazes to vivid life in this most unconventional of Broadway hits. It’s the summer of 1776, and the nation is ready to declare independence... if only our founding fathers can agree to do it! 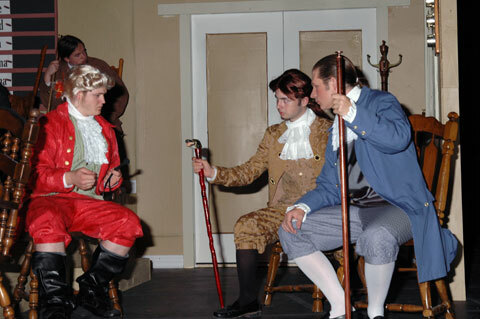 “1776” follows John Adams of Massachusetts, Benjamin Franklin of Pennsylvania, and Richard Henry Lee and Thomas Jefferson of Virginia as they attempt to convince the members of the second Continental Congress to vote for independence from the shackles of the British monarchy by signing the Declaration of Independence.